All set to travel with the Brehons? We’re gearing up for an excellent Symposium in Co. Mayo this September and hope you’re going to join us! We’ve put together a couple of travel packages that include flights, hotel accommodation, all airport transfers and ground transportation, your Symposium registration and a whole series of extra events – visits, dinners, cultural events …. Everyone who travelled with us in 2011 said it was the trip of a lifetime. We squeezed in visits to the Irish Parliament, the High Courts, the Royal College of Surgeons, Trinity College, and the Guinness Storehouse. 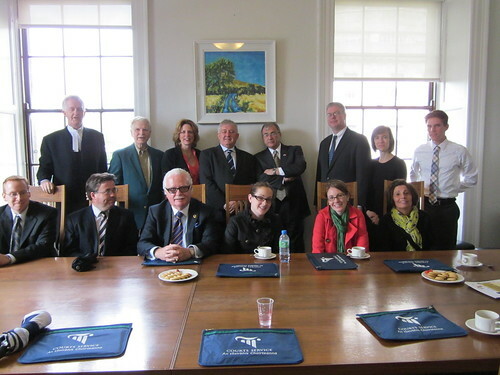 We ate some fabulous meals with Irish colleagues and friends – the craic was ninety!